The answer to last week’s question is. 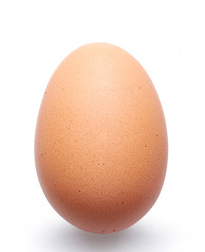 Q: If an average hen’s egg is 5 cms long and weighs 300 grams, and an average peacock’s egg is exactly twice the length and 2.5 times the weight, which one has the greater circumference? A: Peacocks do not lay eggs! Q: I often go to the police station at night and destroy many finger prints. I do not however consider myself a criminal. Who am I? Are you ready to be business efficient ?